Ridley Scott's Exodus: Gods and Kings has been criticised for allegedly whitewashing history by using four caucasian actors in the lead roles. 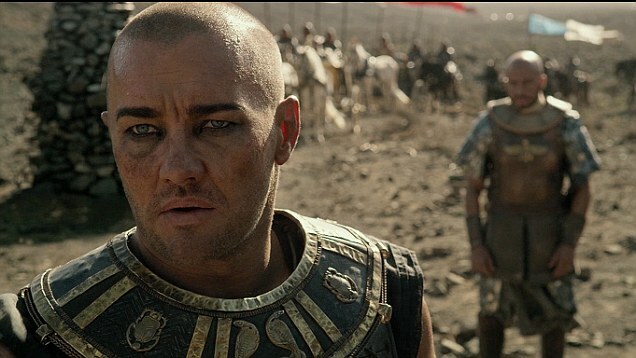 Some people have even threatened to boycott the movie for doing so, but Australian actor Joel Edgerton, who plays one of those leads, Pharaoh Ramses II, has urged the public to go and see it. The 40-year-old Sydney-sider told SBS's The Feed that the story of the biblical blockbuster was so important people shouldn't turn away because of the criticism. 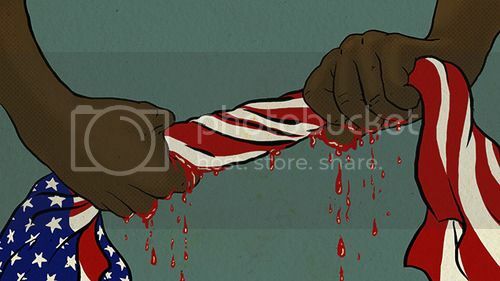 'It’s such an important story of racial struggle. The dominance of one race over the another and I think it’s such a great story. It would be a shame for people to not see it or turn away for another reason,' he said. For the movie, based on Moses' hand in leading the Israelite slaves out of Egypt, he sports fake tan, a bald head, bronzed muscles and a whole lot of guyliner - but the blonde-haired, blue-eyed Aussie is not the most obvious choice to play an Egyptian. The Star Wars actor, who will appear alongside Christian Bale, Aaron Paul and Sigourney Weaver in the Egyptian epic directed by the legendary filmmaker, said he was in a bad place when he found out about the movie. Around that time, the handsome actor's engagement to fashion designer Alexis Blake ended and he was also going through a grieving period following a family death. 'I was in a very bad place in my of life when I got the got the call. Personal things like breakups and there had been a death in my family and I was tired of stuff,' he also told The Feed. In a shift from form, Edgerton plays a villain and a historical one at that: ancient Egyptian ruler Ramses. The film - which is said to have a budget of over $150m - is the biggest blockbuster Edgerton has ever taken part in, with an all-star cast including Sir Ben Kingsley and John Turturro. Despite the jaw-dropping special effects which see everything from tornadoes and rivers of blood, to tidal waves and lightning storms come to life, it seems at the centre of the film are the performances from Bale and Edgerton. The characters are described as two boys who grew up together in ancient Egypt 'like brothers', but who come to blows over their differing opinions on slavery. Exodus: Gods And Kings is set for release in the coveted Christmas time slot in the lead-up to awards season, with it hitting cinemas on January 1, 2015. I saw that Mizzsandra. my side eye was severe. didnt plan on watching it but now i'll be sure not to. I don't hold him responsible because he's an actor and doesn't have influence on the casting but no. I guess Ridley Scott lives in his own hermetic Caucasoid universe.